Christopher Hills has cerebral palsy and quadriplegia. The nineteen-year-old Australian man, who has control only over his neck muscles, would have, until only recently, been resigned to a life of dependency on others. Instead, he’s the owner of a successful video editing business. Hills runs Switched-On Video Editing, and in his home office on the Sunshine Coast, he produces, directs and edits videos using sophisticated and complex film software that many people struggle to perfect. Hills, however, is a master of the technology, which he operates using only the muscles in his neck, thanks to a switch on his wheelchair. The switch, mounted next to his head, allows Hills to control everything the way a mouse would. All he has to do is move his head to create finely wrought films that would be beyond the capabilities of most people with fully functioning limbs, and his talent has earned him accolades from several high-profile clients. Recently he produced, directed and edited a film for the National Disability Insurance Scheme, and he himself is only one example of how technology is breaking through the limitations of even the most severe disabilities. If you follow 3D printing news at all, you’re likely well acquainted with the incredible ways the technology can change the lives of people with disabilities. We cover 3D printed prosthetic devices frequently, and while they never fail to amaze, they barely scratch the surface of the possibilities in 3D printed assistive technology. Much of that technology benefits people like Hills who have very little motor function, and some of the most ingenious designs come from members of the public thanks to crowdsourcing initiatives like MakerBot’s Assistive Technology Challenge. 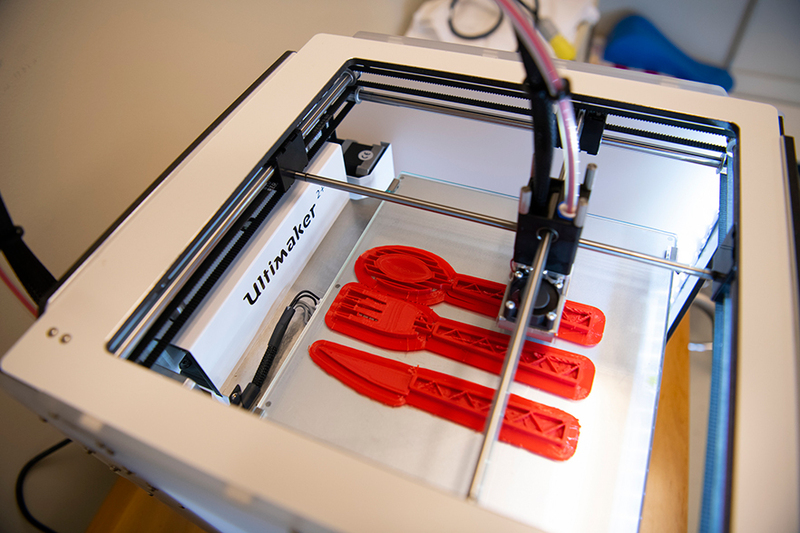 We hear a lot about how 3D printing is putting manufacturing and invention into the hands of the people, and that’s perhaps most poignantly evident through the life-changing devices that ordinary makers come up with. There’s no risk of large biomedical corporations being put out of business anytime soon; the average hobbyist isn’t going to start churning out titanium implants or organ tissue in his or her living room. But while those are the stories that make headlines, it’s often the simplest inventions that can make the biggest difference in individual lives. Take this ergonomic asthma inhaler, for example. This simple 3D printed smiley face, presented as a mere two-step Instructable, is not only cute and kid-friendly, but could potentially save a life. As the creator, giulio75, an asthma sufferer himself, explains, the correct use of an inhaler is vital but often difficult. Holding the canister in a stable position while pressing the button can be a challenge, especially when in the midst of an attack, and the little smiley face cap, easily fitted onto the top of the canister, both stabilizes it and makes it easier to press. Simple, yet potentially lifesaving, eliminating a difficulty that someone having a severe attack just doesn’t have time for. As in the above example, it’s often the disabled who best understand the needs of their fellow afflicted, and 3D printing gives them a way to address those needs through their own innovations. At Greenacres Disability Services in Wollongong, disabled workers actually build 3D printers for the education-centered Australian printer company Me3D. Not only does the work provide meaningful employment, but it has given the workers a way to design and print devices that make their own day-to-day lives easier. While testing the printers they had constructed, several of the Greenacres workers decided to print customized handles to slip over tools and make them easier to grip. The workers also printed similar covers for wheelchair control joysticks, meaning that multiple individuals can easily use the same wheelchair simply by changing the grip covers. Wheelchair controls are an excellent, and increasingly common, example of how 3D printing can easily and cheaply circumvent challenges. Melissa Fuller founded AbilityMate, an open source community that links people in need with designers and makers who create customizable assistive devices. Wheelchair joysticks are some of the most common requests, she said, as even the most expensive wheelchairs often come with joysticks that are difficult to operate due to the nature of certain disabilities. She gave an example of a woman with cerebral palsy whose $35,000 wheelchair came with a joystick she couldn’t operate. Another control was designed to look like an Atari joystick, for a young man who played a lot of Atari before suffering from a traumatic brain injury. Not only is the controller appealing to him, Fuller said, but it helps him remember the fine motor skills he used before his injury. Various joystick designs from AbilityMate. AbilityMate and Me3D are both part of Autodesk’s Entrepreneur Impact Program, which gives free access to 3D design software like Fusion 360, 123Design and Tinkercad to small businesses dedicated to environmental or social issues. If you’re a startup in the business of helping the afflicted or otherwise improving lives, you can apply to be a part of the program here. 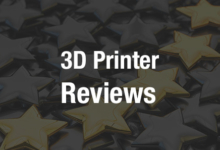 The abovementioned are only a few examples of how 3D printing can make a big impact in a small way, but there are always more people in need. The great news is that it’s easier to fulfill those needs than ever before, and the average person can make a huge impact with just a bit of 3D design skill. Discuss further in the 3D Printed Assistive Devices forum over at 3DPB.com.